Emily Avila on the set of ‘Fitting’. Director Emily Avila’s second short, Fitting, follows an intimate encounter between two strangers: a bra fitter, and a customer who has recently undergone a mastectomy. Deborah Leiser-Moore plays Diane, who is looking for a bra to conceal her operation and to go with the dress she is going to wear to her daughter’s wedding. 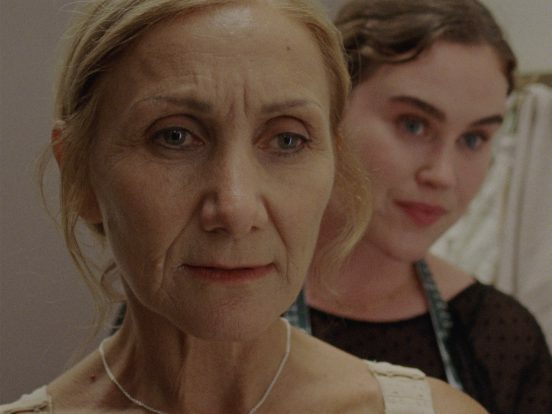 When Miranda (Clementine Anderson), the bra fitter, offers to help Diane, she shows Miranda her scar and the intimacy of the reveal unites them. Avila, who wrote the script with Bronwen Noakes, tells IF it is a small story, but one that has female relationships, understanding and strength at its core. “It’s really a story about women being able to support each other physically and metaphorically,” she says. The film was in part drawn from Avila’s observations after her grandma was diagnosed with breast cancer and had a single mastectomy, and from stories from she’d heard from husband, a doctor, when he was working in the breast cancer ward at the Royal Brisbane Hospital. The director was struck by the strength of the women, but also by the fact many didn’t want to make a fuss about what had happened to them. Avila has also worked in retail in the past, and was aware of a phenomenon, also faced by those working in professions like hairdressing and medicine, of people unpacking their personal issues onto sales assistants – in some ways because they don’t want to burden the people closest to them. Avila produced the film with Jackson Lapsley-Scott (Grace, Who Waits Alone), and it was shot by DOP Adric Watson, who also worked on her first film In A Cane Field. Fitting is one of four projects that were supported by Sydney Film Festival’s 2017 Lexus Australia Short Film Fellowship – the others being Thomas Baricevic’s The Coin, Lara Köse’s Kaya, and Goran Stolevski’s My Boy Oleg – and will premiere at SFF June 12. Applicants for the $50,000 fellowship submit their previous work and are then whittled down to a shortlist of around 20 filmmakers. After being shortlisted, Avila says they then had around six to eight weeks to put together an application of what they would then make if granted the funding. 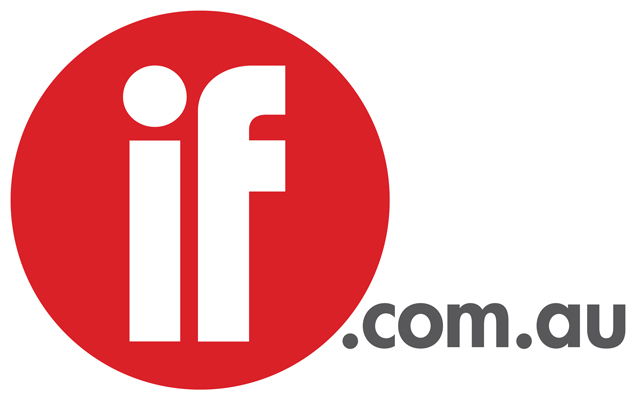 The finalists are assessed by a jury of industry professionals – last year’s was headed by David Wenham – and winners announced at the festival, giving them a year to make the film. For Avila, being accepted for the fellowship and having the backing of the Sydney Film Festival was an important confidence boost in her career as a director. While she had always wanted to direct, she says out of film school the most straightforward and simple career path was to start working for production companies. Avila is the current artistic director of the Heart of Gold International Short Film Festival, and has also worked for See-Saw Films as Emile Sherman’s personal assistant, and more recently in scripted development at Essential Media. In A Cane Field, which premiered at the Brisbane Asia Pacific Film Festival in 2016, was something she had wanted to make for five years. Next up, Avila has a couple of shorts that she hopes to make over the next 12 months, and is developing a series with Noakes. Last week, the Australian Directors Guild also announced she had been selected for its 2018 Commercial & Content Directing Mentorship program, which will see her placed with Queensland’s Taxi Film Production. The 2017 fellowship films will screen at the Sydney Film Festival June 12 6.30pm, Dendy Opera Quays.